According to sources speaking with Reuters, Target is working on its own, proprietary mobile payments solution. The scheme will likely use a barcode or QR Code in an app to let you pay for goods with your phone. Target is also reportedly finalizing which credit card companies it wishes to partner with for its mobile payment solution. If this were 2 years ago, we’d likely be applauding Target’s efforts. Heading into 2016, Target is instead driving a wedge between consumers and its own interests. In creating its own payments solution, Target would get access to critical data like your credit card number and personal info. It also means you, the consumer, will need to make yet another profile to pay for goods. It’s a growing, troublesome trend for digital payments. Rather than rally behind an existing solution, Target and others like WalMart are creating several schisms that fragment the landscape. Tech companies are also guilty. Apple Pay, Samsung Pay and Android Pay are the major players, but others like LG are rumored to be getting into mobile payments, too. To wit, all should have learned a lesson from this behavior already. When Android Pay was Google Wallet, it was met with strong resistance from carriers which had their own mobile payment scheme. Because of the divide, mobile payments floundered. Samsung Pay uses technology from LoopPay, which Samsung scooped up specifically for its payment solution. Ahead of Samsung buying that company, most had never heard of it — even though it’s one of the easiest solutions for consumers. Apple Pay catapulted mobile payments into the mainstream, but met with early resistance from retailers because of CurrentC. It was reminiscent of Google’s early struggles with Softcard (which it later purchased for use within Android Pay), except we could swap retailers for carriers. It’ll be difficult to find one mobile payment solution to act as our silver bullet, but it doesn’t mean all parties need their own — especially if the underlying technology is the same. Many of the aforementioned solutions use NFC for transmitting information, which further confuses the desire for proprietary solutions. From the outside looking in, it’s easy to see how so many disparate solutions from technology companies would cause retailers to consider their own mobile payment processing scheme. Apple and Samsung’s solutions are proprietary, and Google can’t tap into the NFC chip on iOS devices, leaving Android Pay to Android handsets. 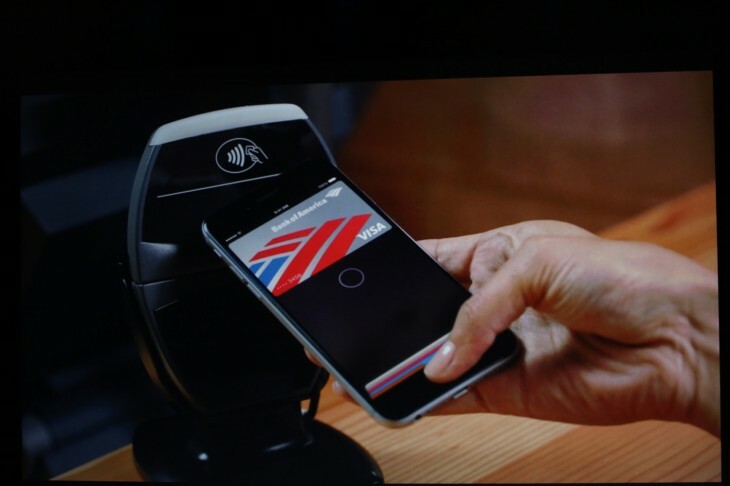 But an Apple Pay or Android Pay stand a much better chance of finding favor with consumers. It’s familiar because it’s already in your hand, and neither company have had the information security issues of Target. In stores, companies may need new terminals that can accept NFC-based transactions. Some may point to the cost of replacing the hardware as a barrier, but I’d argue it to be splitting hairs. Choosing to replace hardware is probably as expensive as creating and managing your own mobile payment solution in-house. Proprietary mobile payments are a losing proposition, and one I really wish retailers would stop toying with. It may not be as exciting as having a branded offering, but the Apple Pays and Android Pays of the world will win this war for electronic transactions. Target may as well swallow its pride now and be labelled an early adopter in ten years time.